For me, statement jackets MAKE an outfit. This one especially. 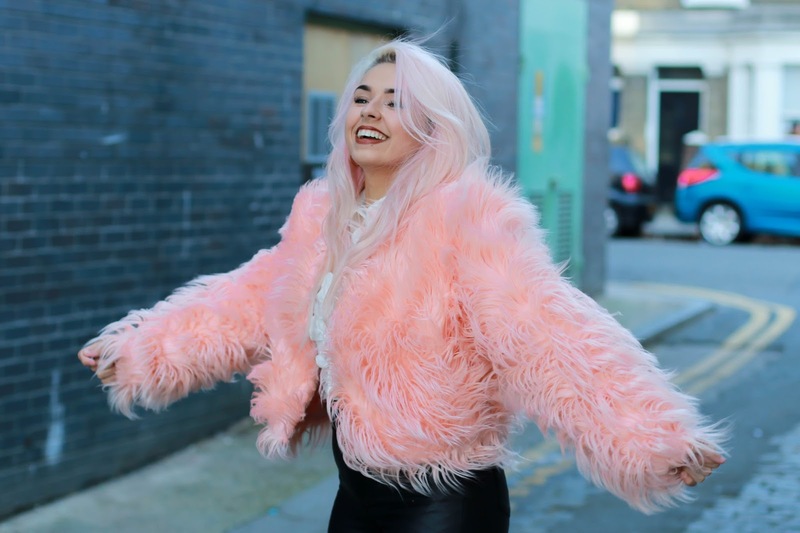 I'm crazy over this Missguided faux fur ultra fluffy jacket - it's an absolute steal for only £45. 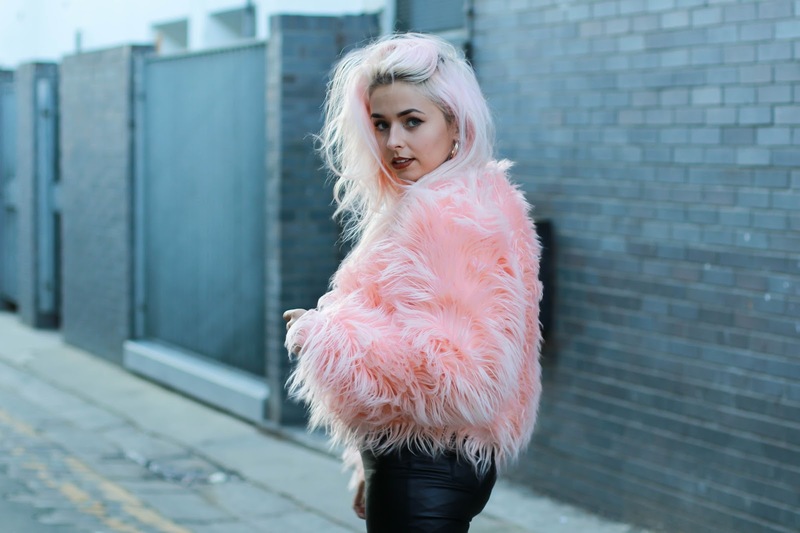 I've only ever worn one fluffy jacket in my time, but this has stolen the spot light & has become my favourite. Not only is it warm, but it's incredible quality too. The materials used are SO soft. I've teamed this jacket with a pretty bland outfit, to make the jacket as eye catching as possible. I'm so obsessed with my wet look high waisted jeans from Primark. I've been wearing them probably 4-5 days of the week the past month or so. They're incredible for only £13! I personally cut the bottoms off, since my ankles couldn't get in and out of the tiny holes, so cutting the excess material off has allowed my feet to slip in easy! (trust me, it's not so great having big ol' size 7 feet on someone who is only 5ft3). This AW16 I've been obsessed with all things with a ruffle of a frill. When this shirt arrive from Fashion Union I was over the moon! It fit me perfectly. You can't see the sleeves in these photos, but the cuffs are oversized ruffles which I really adore. 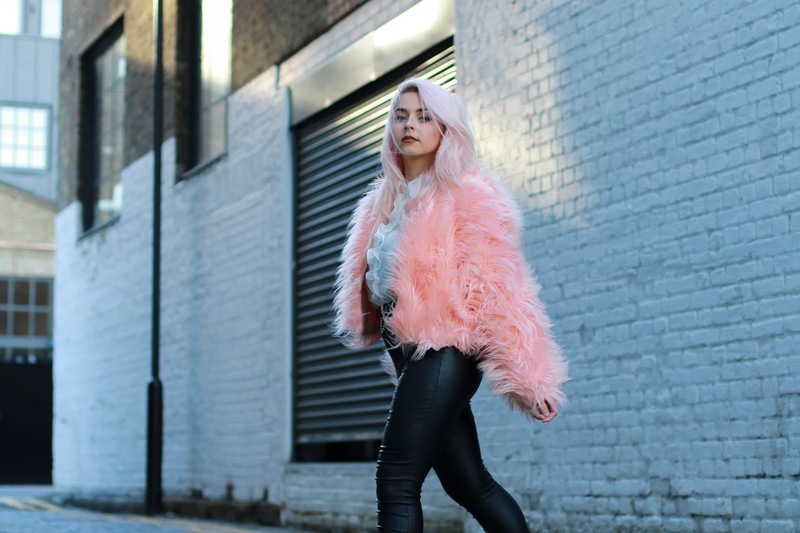 If you're looking for some AW16 inspiration & love my style, come & follow me over on Pinterest! Being a bit of a shorty, heeled boots are a must have for me. In fact- I own WAY too many heeled boots, it's getting a little ridiculous now! BUT - there's something a little special about these boots. I've never owned a pair of luxury boots before. So say hello to my new favourites from Daniel Footwear. I speak about these in my recent footwear haul. They're SO comfortable, and SO easy to walk in. They don't make my feet look huge either, so it's a yes from me. When styling statement coats, I'm always torn between two minds. 1. Simplicity is key. Keep your outfit pretty basic, let the coat do the talking. 2. Nope. There is no rules. GO WILD. Go loud. Clash EVERYTHING. As long as you feel comfortable with how you're styling your jacket, then go ahead and bluddy well rock it. Created within an Instastudio session. Absolutely rocking it as per usual Charlotte! I've loved Rebecca's photography for a while now and would loovvveee to work with her one day! 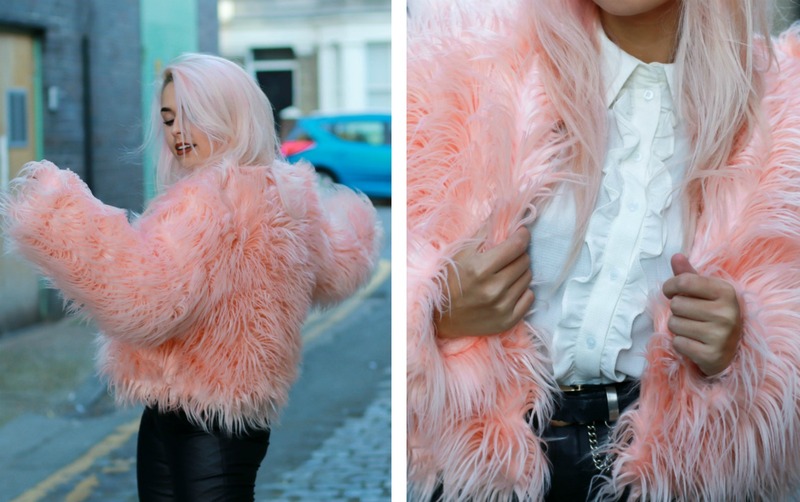 This outfit combo is insane on you! Those leather look trousers make you look hot girl! I just LOVE this jacket omg! 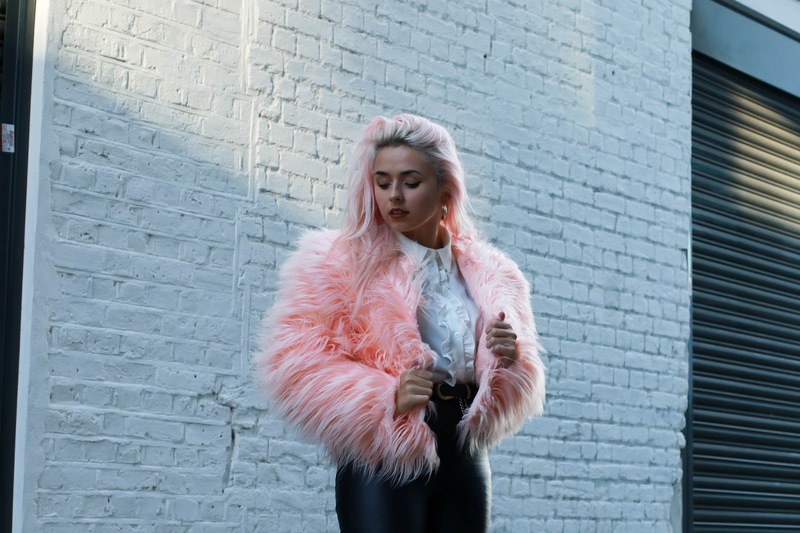 this jacket is amazing, the colour is so dmn fab! You look incredible in this jacket! !